As recently reported in The Drinks Business, premium wine is the focus for the Wine Australia Strategy 2015-2020 and here in Hong Kong we are fortunate enough to enjoy a good selection of wines from this category. Furthermore, the industry in Australia has worked hard to promote a sense of terroir or place by focussing on better site and grape selection, refining techniques used in the vineyard and winery and above all, having a clear vision of the quality and style of wine being produced. 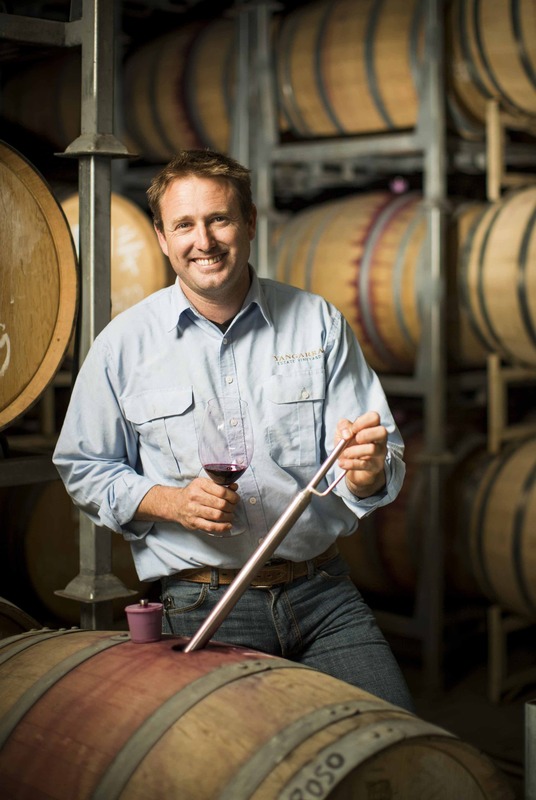 Yangarra Estate in McLaren Vale, South Australia epitomises this approach and with winemaker Peter Fraser recently named Winemaker of the Year at James Halliday’s Wine Companion awards, the estate is poised to see continued growth in both its domestic and international markets. The portfolio at Yangarra is built around bush-vine Grenache first planted in 1946, and from there a selection of southern Rhône grape varieties have been planted. With 600 vines each of Grenache Blanc and Bourboulenc to name but a few, Yangarra Estate have established themselves as visionaries who definitely don’t do things by halves! Yangarra, in the local Aboriginal language, means “from the earth” and Yangarra Estate embodies this connection to the earth on several levels. Meticulous application of biodynamic principles in the vineyard and winery whilst harnessing technology via their website offer the complete experience for the visitor. Interactive maps on the website specifically locate the estate, identify individual plots, the grape varieties each plot is planted with, the wine each plot contributes to all the way down to the soil type of each parcel of land. These tools nicely round out the sense of place so inherent in the wines themselves. As I tasted through a selection of wines with Peter at Sarment’s new offices in Sheung Wan, a number of stylistic themes emerged. Each wine offered a delicious perfume that instantly caught your attention. From within a carefully crafted frame sat well-balanced tannins and acidity alongside that sweet spot between fruit and savoury notes, which completed the picture. The first wine was a Roussanne from the 2014 vintage. In this wine a portion of the blend is fermented on skins for 90 days in a ceramic egg fermentation vessel. The resultant wine shows excellent texture and palate weight with green and citrus fruit aromas together with subtle herbaceous notes and the most delicate hint of nuts at the very end. The acidity is refreshing and matches the richness of this grape variety well. Peter suggested seafood to pair with the Roussanne, perhaps a lobster bisque or bouillabaisse and with all the sauces and broths that go with food here in Hong Kong there are no shortage of opportunities to find the perfect match. The 2011 Shiraz and 2012 Grenache followed, each with a finely tuned structure imparting a sense of elegance to the wines. The 2012 GSM (Grenache 54%, Shiraz 28%, Mourvèdre 18%) completed the tasting. The GSM showed textured tannins, good acidity and a palate driven by mouth-watering savoury notes. The fruit doesn’t lead the palate profile; instead it complements the savoury notes of spice and dried herbs. From first sniff I was hooked. The aromatic structure managed to conjure images of a finely woven tapestry, where one might note the individual colours or in this case, individual grape varieties, yet at the same time experience them together as a striking whole. In the mouth the GSM is a food wine and you are instantly thinking of dishes to enjoy this with – a rich game based ragù on fresh pasta or roasted meats would be the perfect accompaniment. This tasting showed the wines of Yangarra Estate to be of remarkable individuality united by thoughtful consideration, craftsmanship and a clear vision of producing quality wines that speak to where they come from. They are wines that are immensely enjoyable whilst quietly captivating your palate to reveal texture, sophisticated structure and a depth of complexity. Furthermore, the wines are very competitively priced for such high quality offerings, so be sure to grab a bottle or two and start enjoying some of the best Australia has to offer! ← New Zealand Sauvignon Blanc shortage – is the sky really falling?